Liberty Head Arts & Found co-owner Morgan Rowe fell in love with reverse glass painting when she stumbled upon an old and peeling relic at a flea market shortly after moving to Maine in 2016. 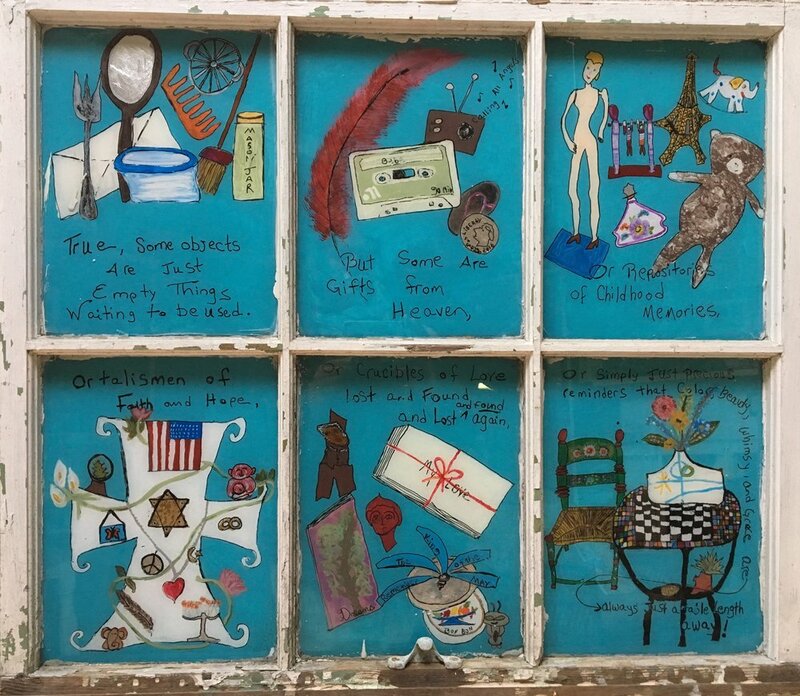 Echoing the mystique of the painting which first enchanted her, Morgan chooses to use old, reclaimed windows and frames in their natural state of (dis) repair as canvases. There is something magical about how colors come to life in these rustic settings, especially when complemented with gold or silver leaf applied directly on glass. The unpredictability of how the light will catch the painting on any given day makes them hard to photograph but delicious when viewed in person. Morgan loves to combine her gifts as an intuitive and writer together with reverse glass paintings; she has created personalized, visual intuitive readings for people all over the country.